John Curtin Gallery opened as Australia’s largest university art museum in 1998. The original lighting installation was ERCO analogue luminaires until the recent upgrade to ERCO LED luminaires. Optec Contour Spotlights, the magical lighting tools with precise beam angles and rich colour rendering transforming artworks that appeared self-floating. Pippin Drysdale: Devils Marbles II series, 2018 Clusters of colourful smaller asymmetrical forms all displayed on plinths. Optec Narrow Spots, Floods were used Warrick Palmateer: Meridian Arc series, 2018 large singular 2-toned vessels displayed on the floor Optec Oval lenses were used for pictures on the wall. Anything is possible with Optec. In versions with different light distributions, Optec covers the full bandwidth of lighting requirements in shops, galleries and museums - high-contrast accent lighting, floodlighting of exhibits, uniform illumination of walls, or sharp-edged beams for striking effects. With innovative photometrics, Optec combines efficiency with visual comfort. 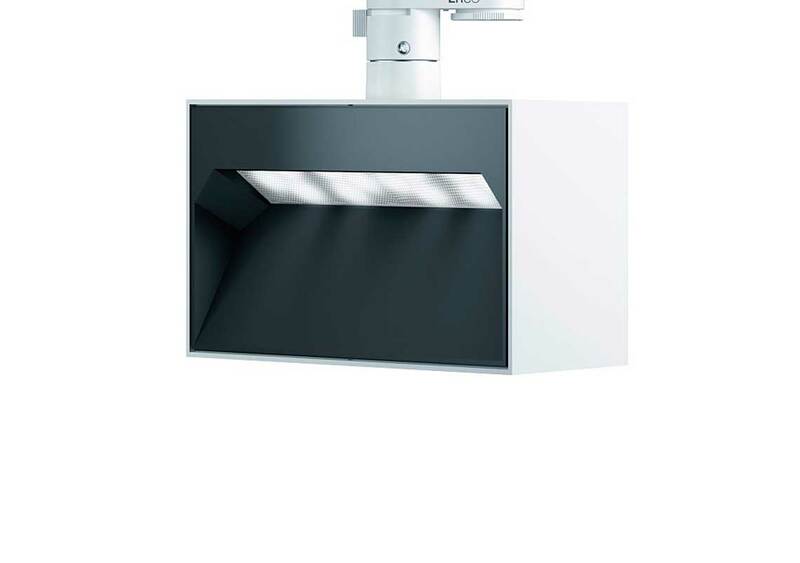 To ensure excellent heat management and flawless performance, ERCO has separated the light head and control gear, whilst, at the same time, the combination of cuboid and cylinder creates the visual impression of less volume and a classic design. Pantrac exceeds the demands of the ultimate challenge in lighting design: perfect wallwashing. The system is designed to achieve superb uniform illumination of walls, product shelving or exhibits with total visual comfort. 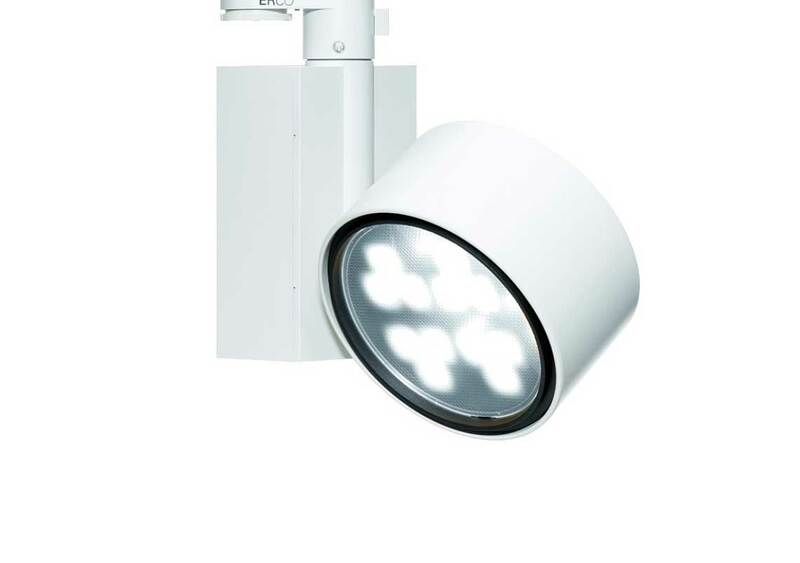 Innovative photometrics optimise its efficiency and, as a result, reduce the number of luminaires required, as these can be spaced further apart. With its archetypal cubic design, the luminaire integrates as effortlessly with modern rooms as with historic architecture. A very wide dimming control range of 1% to 100% supports aesthetic and conservation aspects of artwork protection and gallery appearance.